This artist’s impression depicts the newly discovered stellar-mass black hole in the spiral galaxy NGC 300. 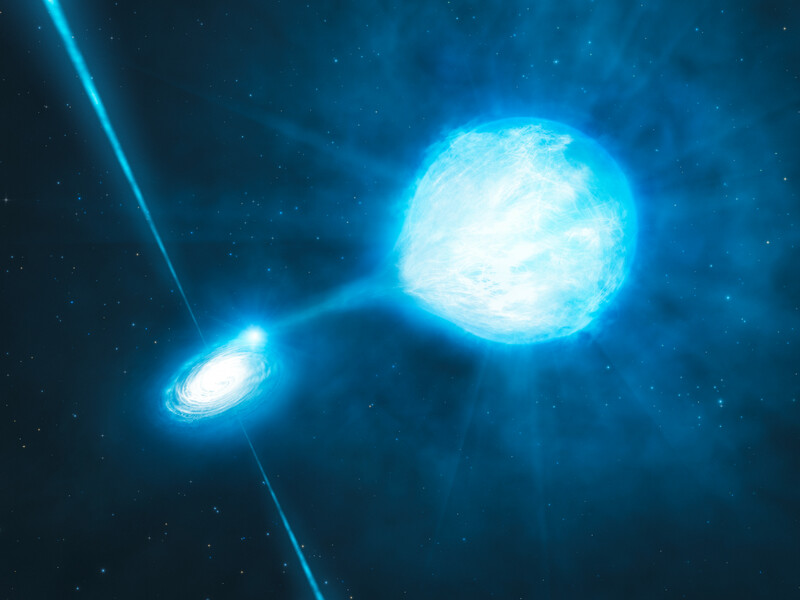 The black hole has a mass of about twenty times the mass of the Sun and is associated with a Wolf–Rayet star : a star that will become a black hole itself. 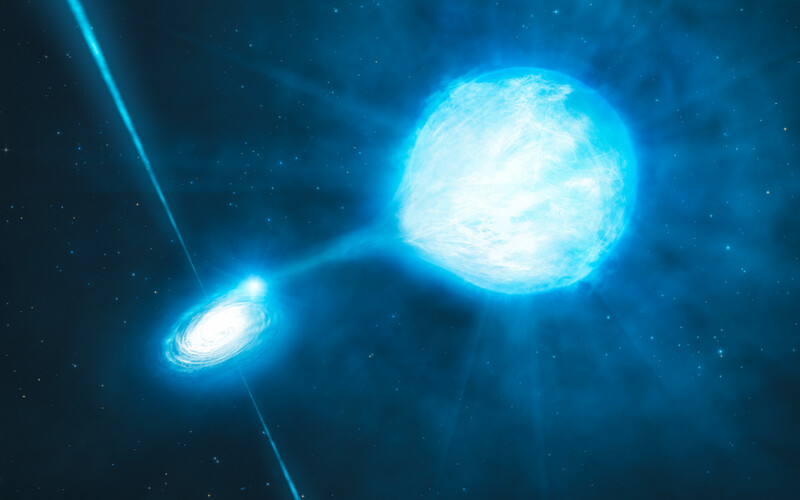 Thanks to the observations performed with the FORS2 instrument mounted on ESO’s Very Large Telescope, astronomers have confirmed an earlier hunch that the black hole and the Wolf–Rayet star dance around each other in a diabolic waltz, with a period of about 32 hours. The astronomers also found that the black hole is stripping matter away from the star as they orbit each other. How such a tightly bound system has survived the tumultuous phases that preceded the formation of the black hole is still a mystery.